Andy & I — among several other people — stopped to hike up the foothills of Papago Buttes to get a view of the snow covering all the mountains to the east of Phoenix. White pants before Memorial Day – but on the first 100°F day this year. Couldn’t wait until Memorial Day to wear my new white pants. It just hit 100°F in Phoenix for the first time this year so as far as we’re concerned summer is officially here. Getting lots of friendly compliments on my “Gay Purride” t-shirt at Costco today. Happy gay pride weekend, Phoenix! 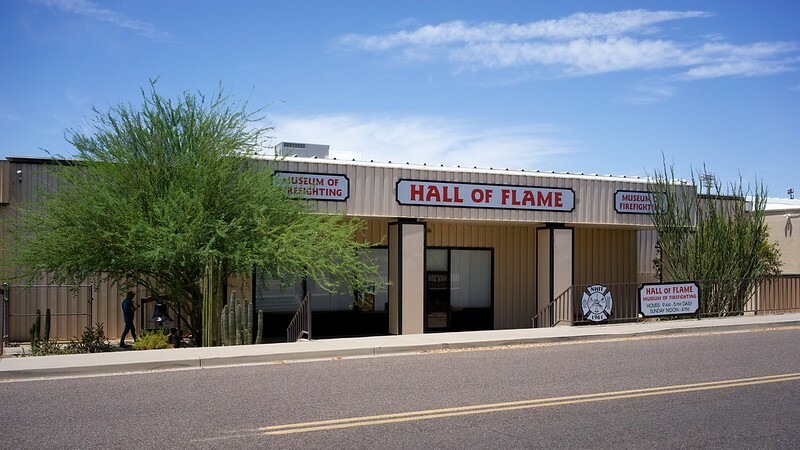 Went to Hall of Flame Fire Museum in Phoenix – Cool place!